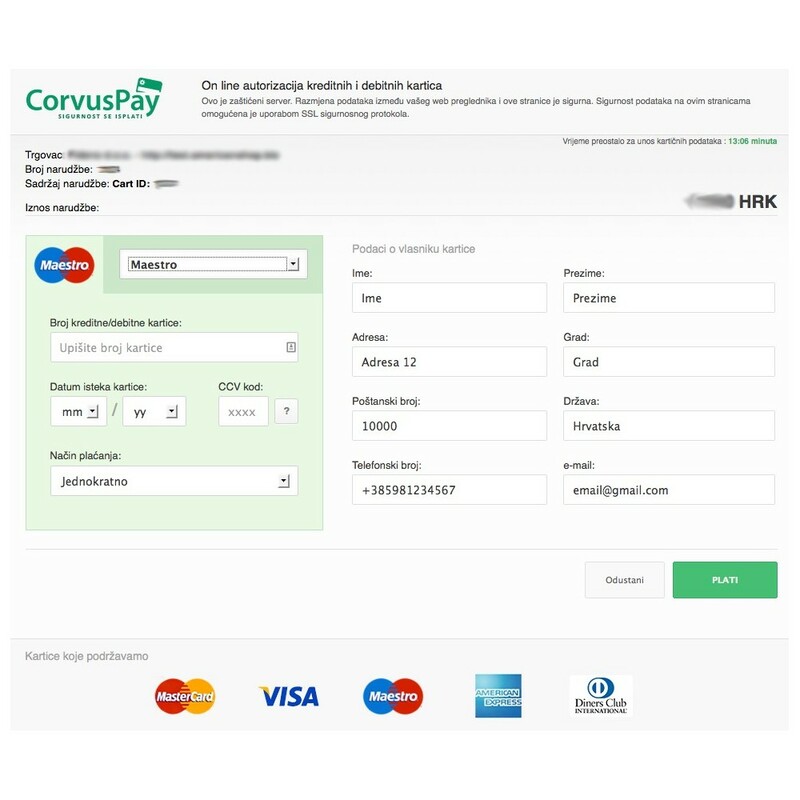 This module integrates CorvusPay Form Submition in PrestaShop 1.5x and 1.6x. Your transaction is 100% safe and everything was tested in collaboration with CorvusPay. Users can pay a one-time payment or in installments (1-12). 2. 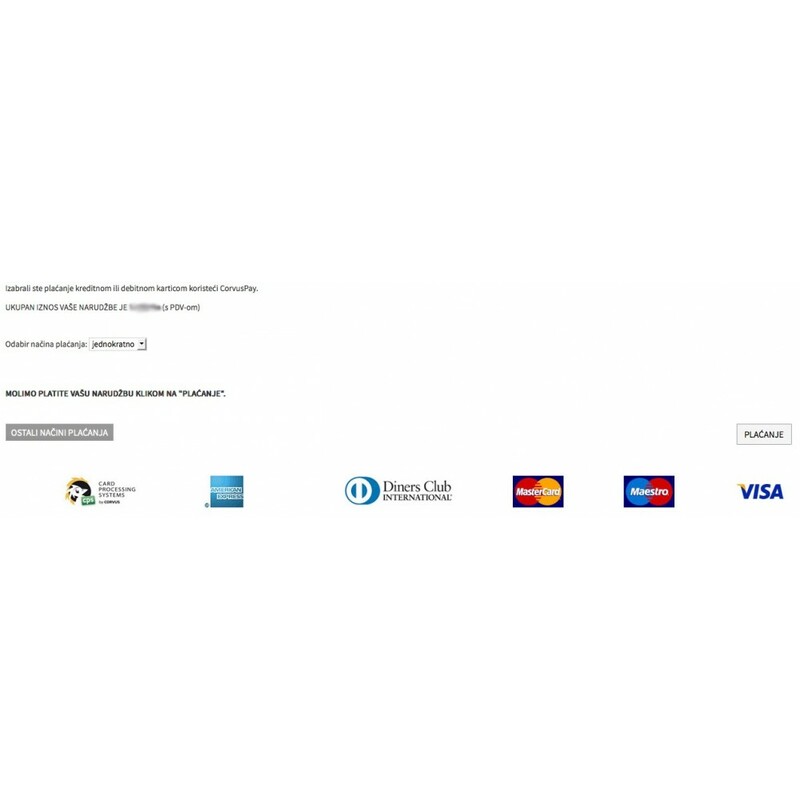 Redirects customer to CorvusPay gateway where the user performs secure payment using your credit or debit card. 3. 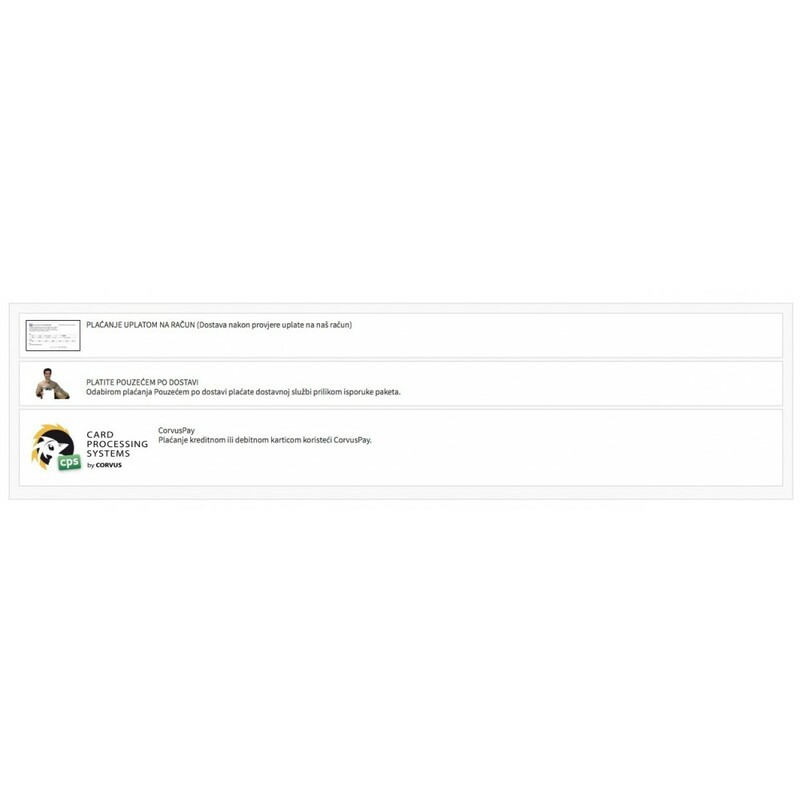 After payment returns the user to the page store. The module will appear as one of the means of payment during checkout.